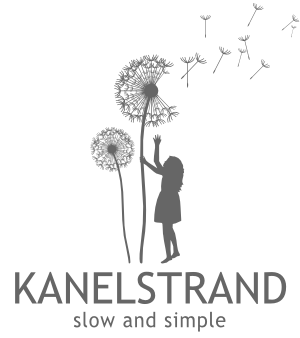 The Kanelstrand blog is dedicated to slow and simple living, and the artistic point of view to everyday life. 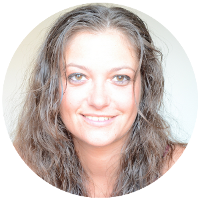 I started the blog in 2010 to refine my outlook on simple living and to challenge myself to learn more about sustainability, herbal remedies and healthy alternatives to beauty products. I learned a lot on this journey but being a perfectionist (which is never a good thing) I practically needed double days in order to keep on writing on my simple living blog while growing my photography business. Today I value living slow and enjoying the little things. This blog is dedicated to slow aspects of everyday life, including arts, green, handmade, and natural topics as part of my philosophy and lifestyle. In other words, in the archives you will find an enormous amount of advice about simplifying your life, natural beauty tips, and green living ideas. But you will also find hundreds of my own photographs and simple tips on conscious living. My aim with the Kanelstrand blog is to inspire you for a slow and simple life, as well as to help you enjoy nature and look at it from surprising angles. I want to challenge your visual creativity and help you dream more. Because dreaming is the first step to creating. I grew up a dreamer -- painting and writing poetry, so it was only natural to turn to photography in my early twenties. As the years progressed I realized I was using photography as an excuse to travel. I then started publishing articles about the places I visited in travel magazines, once again combining my passions for the visual and the unseen. Photography has become a way of unwinding and relaxing both when I work with my camera and when I use the GIMP to digitally alter images on my computer. Going out on my long photo walks I often feel like a hunter stalking moments, light and my own thoughts. In this sense, photography elevates me and helps me reconnect with my own soul. My artworks include surreal and fantasy photo art from Norway, Sweden and Iceland as well as travel photography. As an artist I am fascinated by the power of visual transformation and the possibility I have to employ this power to surprise and inspire the viewer. Art, traveling, and the close connection to nature are part of my simple living philosophy, which helps me grow and enjoy life to the fullest. I don't feel attracted to shopping, or owning more stuff, on the contrary, I have concentrated on spending time doing what I love with the people I love. This is my recipe for a happy life. If you are interested in photography, here are answers to a few questions I get asked often. My first SLR was a Minolta, then came the digital era and I transitioned from Sony, through Fuji, to Nikon. For the time being I love my Nikon D5100. I recently bought the amazing macro lens by Nikon AF-S VR Micro-Nikkor 105mm f/2.8G IF-ED fulfilling an old dream of mine and am now happily shooting macro images, turning most of them to surreal ones. You can find some of my travel photography in travel magazines, I have also been featured in online magazines like All Things Girl, Knithacker, Poppytalk, Photography Blogger and many others. I have created artwork for album covers and wall calendars as well. One of my surreal artworks is in the top ten Smithsonian Magazine altered images for 2013. Of course! My surreal artworks and dreamy landscapes are available for purchase as framed prints, posters and canvases via Fine Art America. Or if you prefer a more personal touch, you can order them through Etsy and I will send a signed and dated copy directly to your home address. Do you accept commission requests? Yes. I would love to create a custom surreal portrait of you, your loved ones, your pet or even your house. Read more about it here. All posts and photos on Kanelstrand are licensed under the Creative Commons Attribution-NonCommercial-ShareAlike 3.0 Unported License, which means that you are free to copy, distribute and adapt my content provided you attribute it to me by linking back to the original post on my blog. If you alter, transform, or build upon this work, you may distribute the resulting work only under the same or similar license to this one. Please note that some elements of posts (images, videos by other authors) may come with different licensing terms. WOW. That beach is just breathtaking! I was in Norway last summer. I wish I had been able to spend more time there, but was so happy to get to travel and meet some of my Norwegian family there! I'm so excited to get to know you thru this blog! Loving it so far! You are welcome, radmegan! I am looking forward to learn more about you through your blog!